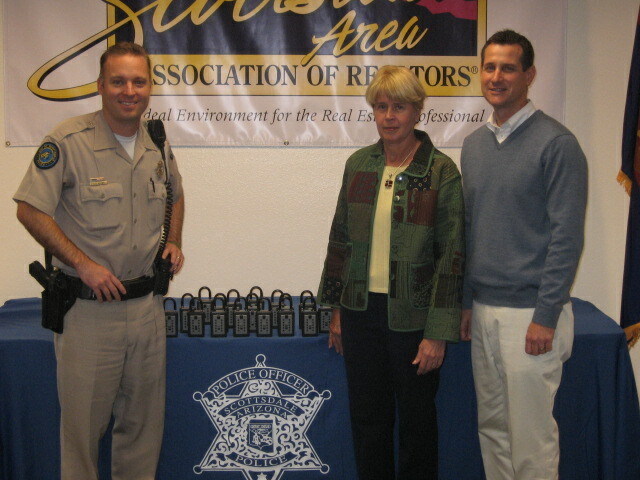 Miles McBride, Committee Chair for Housing Opportunites and Sue Barnes, Lockbox Program co-ordinator, accepting a donation of lockboxes for the Lockbox for Seniors Program from Jason Glenn, Scottsdale Police Officer. The Housing Opportunities Committee at the Scottsdale Association of REALTORS is well represented by Miles McBride, David Brashear, Sue Barnes, Jim Guinn, Michael Collins, Sandy Mager & Lisa Javernick. 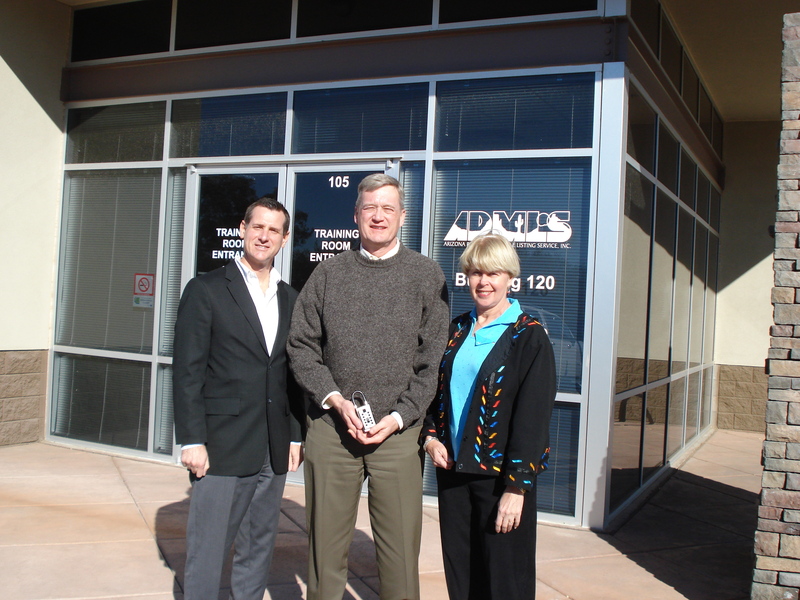 Miles McBride and Sue Barnes accepting a donation from Bob Beemis, AARMLS for the Lockbox for Seniors Program. Lockboxes for Seniors allows the Scottsdale Police & Fire Department to gain entry to your home, without breaking in, if you are unable to get to your door. 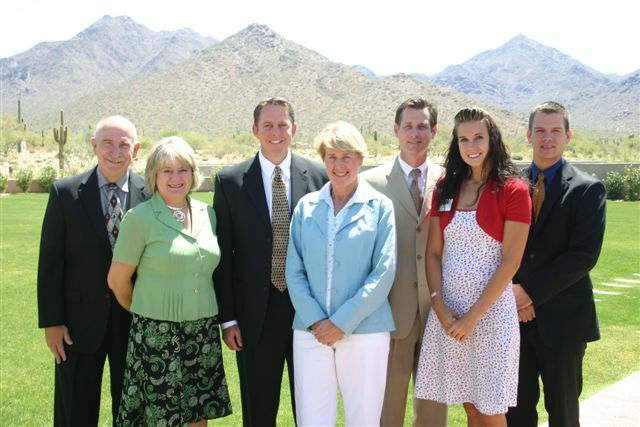 The program has been available in Scottsdale and Fountain Hills since 2004. Scottsdale has 1300+ lockboxes in place and Fountain Hills has 400 which is served by the Maricopa County Sheriff's Department. Call toll free 1-877-229-5042 for more information or to schedule.